On November 8 and 9, 2017, Teacher Education Programs’ faculty, directors, and program heads (SUNTEP, ITEP, NTEP, and YNTEP) gathered together for an Indigenous Knowledge Exchange. 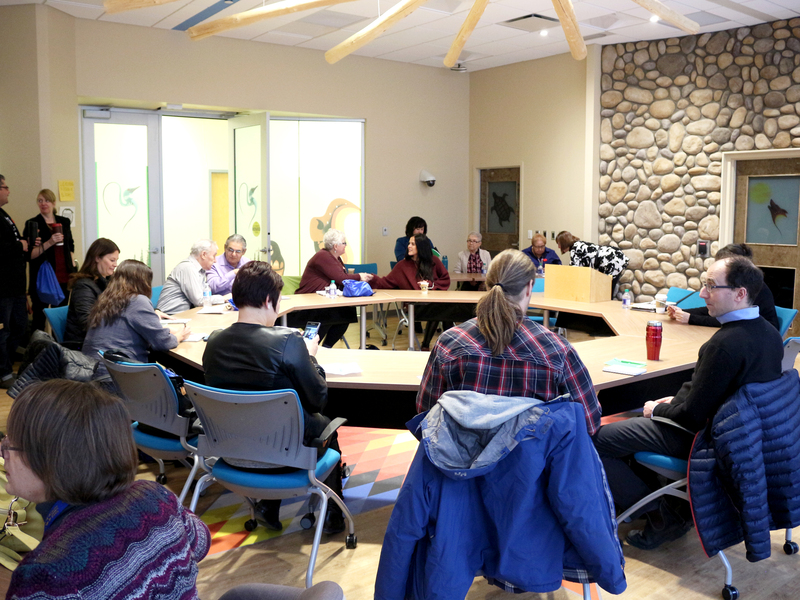 This was the first time the TEPs came together since 2008, when several TEPs gathered to discuss Indigenous ways of knowing. 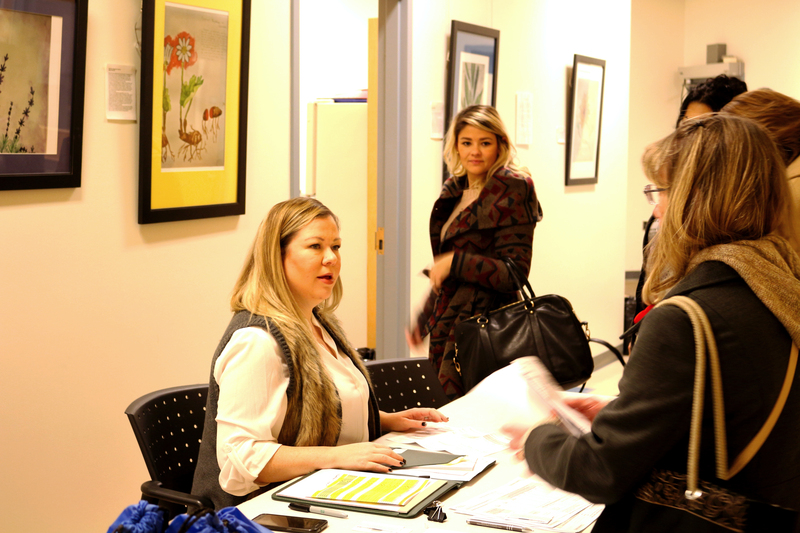 Wanneta Martin (Assistant to the Associate Dean) registering TEP guests. Hosted by the University of Regina, Faculty of Education, the Indigenous Knowledge Exchange gathering “provided an opportunity for participants to advance and strengthen relationships between one another, engage in transformative Indigenous education, and collaborate and plan for the future,” says SUNTEP Regina coordinator, Janice R. Thompson. Thompson was involved in the organization and planning along with Associate Dean, Dr. Val Mulholland, Associate Dean’s Assistant, Wanneta Martin, and Acting Dean of Education, Dr. Andrea Sterzuk, along with others who assisted with this event. 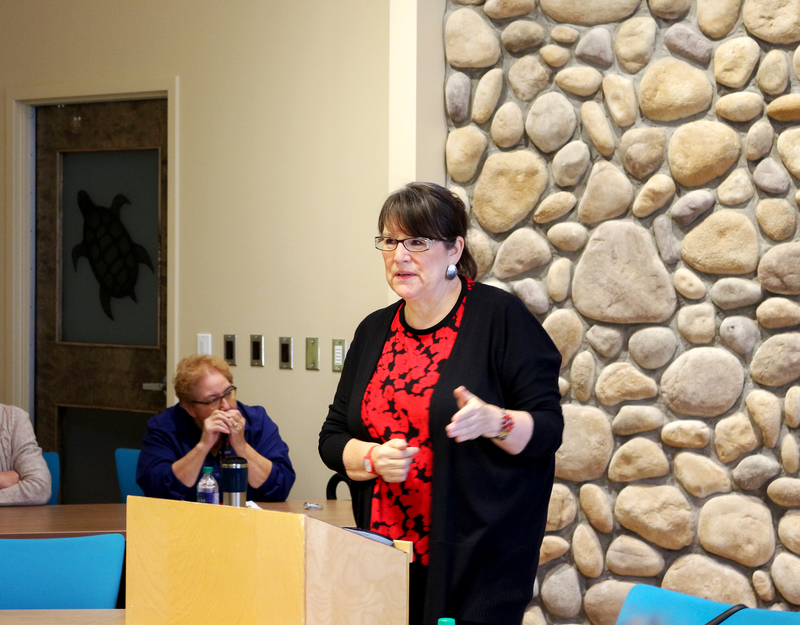 The day was hosted by Janice R. Thompson and began with opening prayers by SUNTEP Regina’s, Erma Taylor and opening remarks by Acting Dean, Dr. Andrea Sterzuk. Chairman of the GDI Board of Governors, Dr. Earl Cook, brought opening greetings on behalf of Gabriel Dumont Institute. 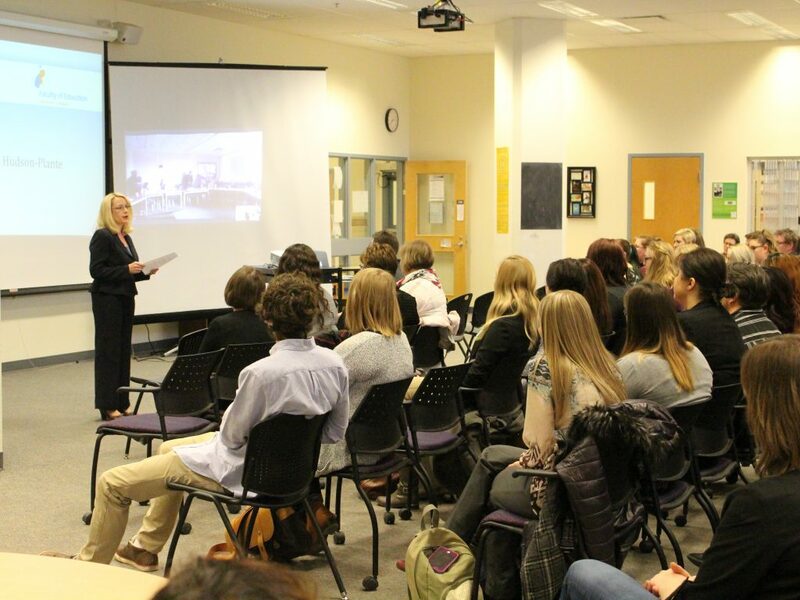 Dr. Sherry Farrell-Racette, professor in the Department of Visual Arts, MAP, brought a keynote. Over the course of two days, the group explored themes that emerged such as “similarities and differences between the TEP programs and establishing a safe space for us to examine our work,” says Thompson. 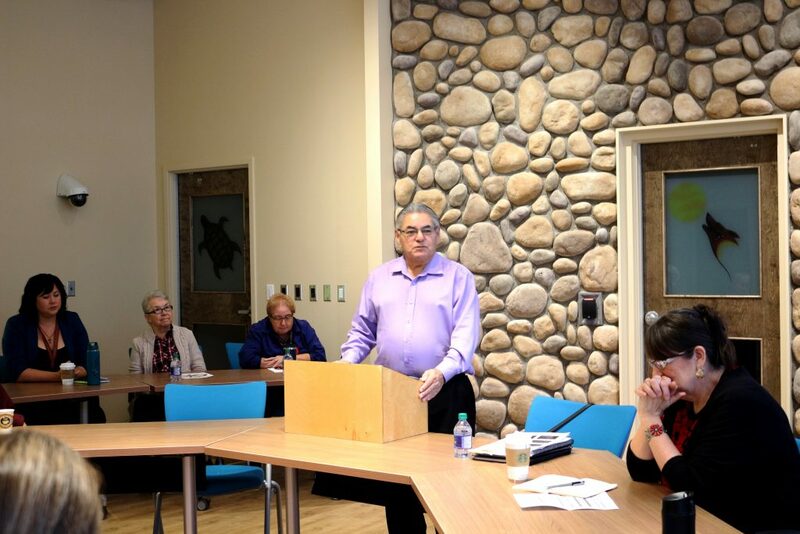 Scheduled theme discussions included TEP’s philosophy and TRC Calls to Action, Indigenous pedagogy and research (land-based pedagogy), language development and preservation, and successes and challenges. Dr. Sherry Farrell-Racette giving keynote address. 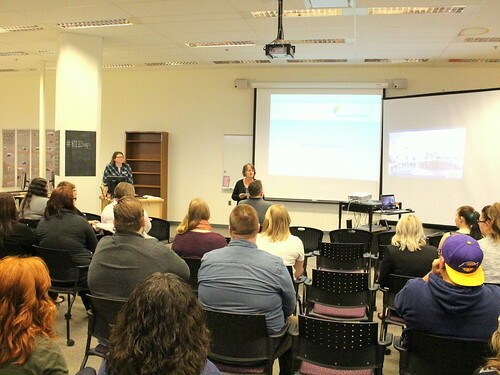 The Faculty of Education, along with partners SUNTEP Regina and YNTEP (via Skype), gathered to celebrate student success on March 7, 2017. The organizing committee from the Student Program Centre, Dr. Val Mulholland and Wanneta Martin, invited faculty from SUNTEP, YNTEP, and the Faculty of Education program chairs and student societies to forward names of students who have made contributions to learning and to leadership in the Faculty of Education through scholarship, activism, and engagement in coursework. Dean Jennifer Tupper brought greetings, reminding students that their successes reflect the motto of our faculty: Inspiring and Transforming Education. 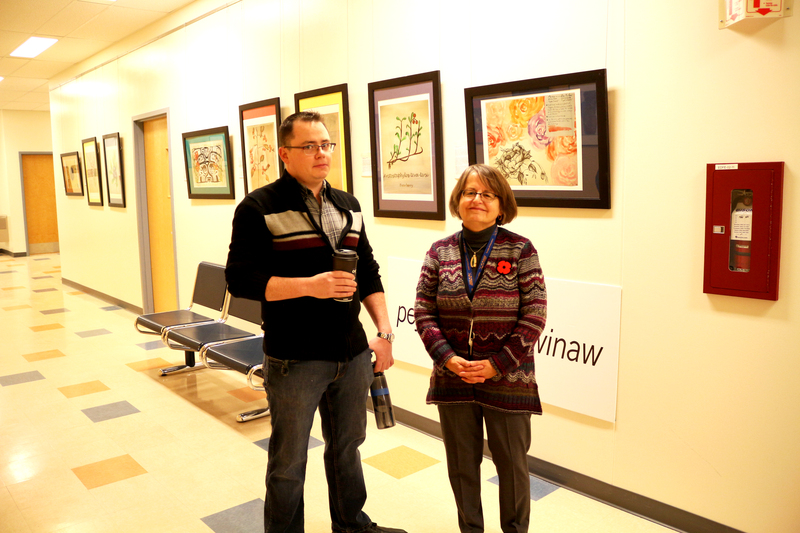 SUNTEP Regina’s new Michif 100 course was celebrated at the event. Coordinator Janice Thompson spoke to the uniqueness of the SUNTEP Regina program, being the first post-secondary institution to offer such a course. The new Arts Education program exhibited a commemorative piece by artist and second-year student Molly Johnson. 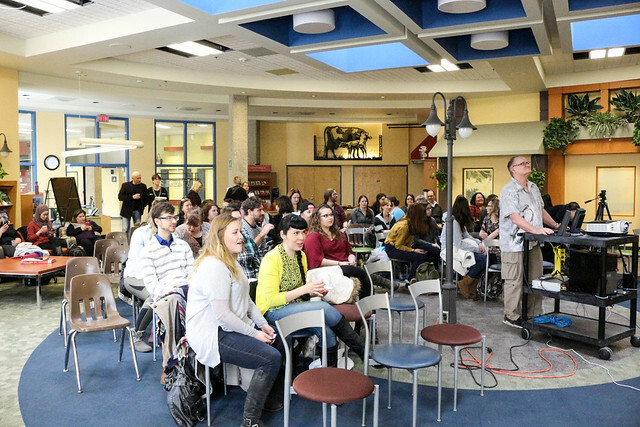 On April 6, the Faculty of Education, SUNTEP and YNTEP gathered to celebrate student success. This year was different than previous years: The coordinators from the Student Program Centre, Dr. Val Mulholland, Nicole Glas, and Wendy Campbell, invited faculty from SUNTEP, YNTEP, and the various Faculty of Education programs and student societies to forward a list of students who have made contributions to learning and to leadership in the Faculty of Education through scholarship, activism, and engagement in coursework. In previous years, academic excellence was the only success that was celebrated. There were 166 students honoured at the celebration and their names were scrolled individually across the screen throughout the event. 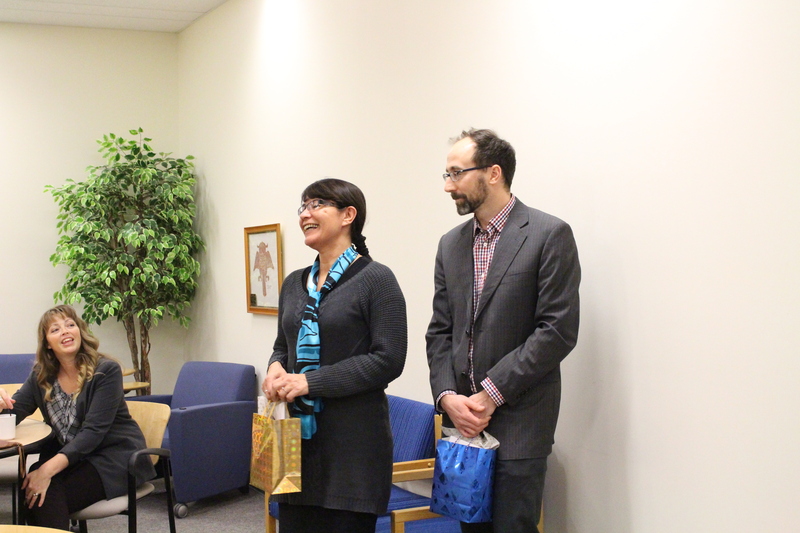 Dr. Jennifer Tupper, Dr. Val Mulholland, and Dr. Michael Cappello highlighted and honoured not only the students’ achievements in their classes, but also in their field placements, and in the community. Dr. Michael Cappello spoke about the students’ exceptional contributions which are helping to shape the field of education even before entering it as teachers. 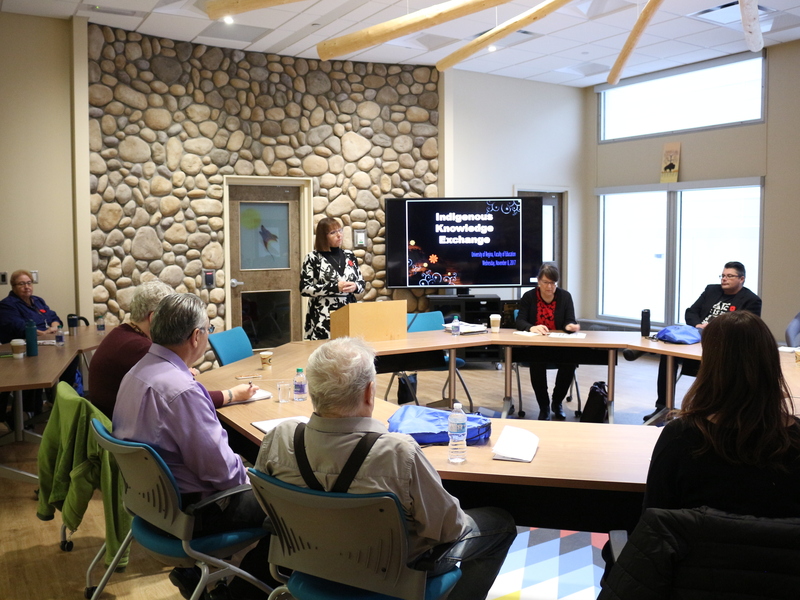 From November 24 to 26, Yukon Native Teacher Education Program (YNTEP) representatives visited the University of Regina campus to discuss plans for renewed education programming and a new community-based Elementary Education After Degree Program offered in partnership with the University of Regina. Tina Jules (Coordinator/Faculty Advisor) and Mark Connell (YNTEP Faculty Advisor) met with Dr. Val Mulholland (Associate Dean, Student Services and Undergraduate Programs, Faculty of Education) and Student Program Centre (SPC) staff, Nicole Glas (SPC Manager), Carol Shi (Assistant to the Associate Dean) and Wendy Campbell (Program Assistant – TEP Programs / Timetable); Dean Jennifer Tupper; Dr. Shauneen Pete (Executive Lead, Indigenization); and Dr. Xia Ji (Director of Field Experiences and Professional Development) as well as Saskatchewan Urban Native Teacher Education Program (SUNTEP) Janice Thompson (Coordinator), to iron out details for the new and renewed programs. 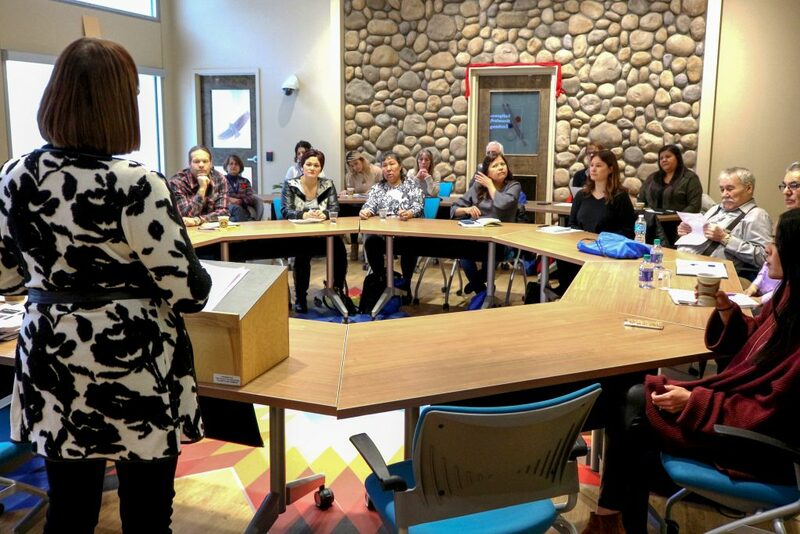 They took in the sites at Lebret, SK with SUNTEP Faculty, and enjoyed the screening of the film, The Pass System, at the University of Regina, which YNTEP hopes to bring to the Yukon in February. Though much was accomplished in terms of programming through the visit, in her farewell speech, Tina Jules spoke of the value of the relationships that have been formed as a result of the collaboration. 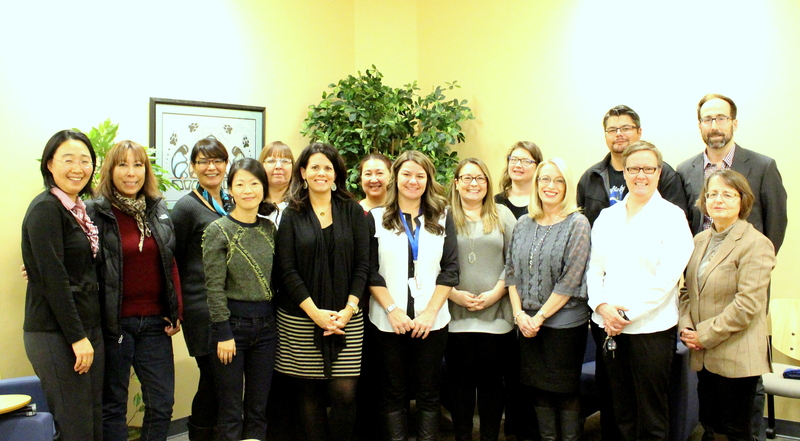 Photo Above (L-R): Back row: Xia Ji (Fac of Ed), Shauneen Pete (Fac of Ed/Indigenization), Tina Jules (YNTEP), Janice Thompson (SUNTEP), Kristina Lee (Fac of Ed), Wendy Campbell (Fac of Ed), Russell Fayant (SUNTEP), Mark Connell (YNTEP); Front row: Carol Shi (Fac of Ed), Nicole Glas (Fac of Ed), January Hutchison (Fac of Ed), Rechel Leonard (Fac of Ed), Dean Jennifer Tupper (Fac of Ed), Tamela Friesen (Fac of Ed), and Val Mulholland (Fac of Ed).